HAPPY MOTHER’S DAY! I’ll be working on my Iris for Mother’s Day! Before I go on a rant … here’s my stash report. Nothing in, Nothing used. Last week I took out Moon Glow to get started on the next kit so I can remain current. The idea was to get as much done during the week so that I would be able to spend today, Mother’s Day, working on Hampton Ridge since I’m 2 kits behind currently. I wanted to get one of those kits started and potentially done before I leave for LA tomorrow night. But it’s not going to happen. I was only able to cut some of the fabric for Moon Glow and yesterday I spent a wonderful day learning a new to me method of applique. I feel like I’m almost done with it and if I spend today working on that – it could be. More details after my stash report! So scroll down. 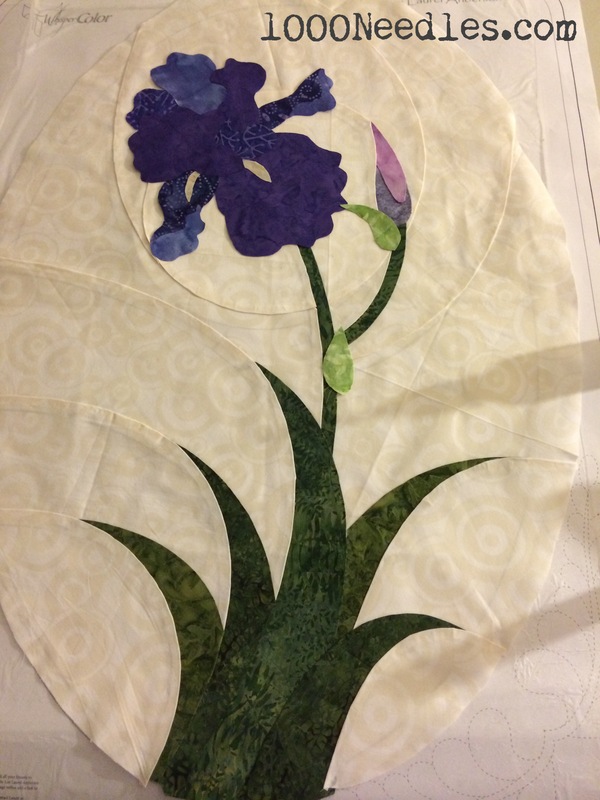 I went to this month’s workshop hosted by my guild about applique. The teacher was Laurel Anderson of WhisperColor.com. I truly enjoyed myself. I love applique, the look of it but I only knew how to do it by hand and it takes forever. So I loved learning a new method. She showed us raw edge applique and turned edge applique. Thank goodness for teachers who supply misc. products at cost! 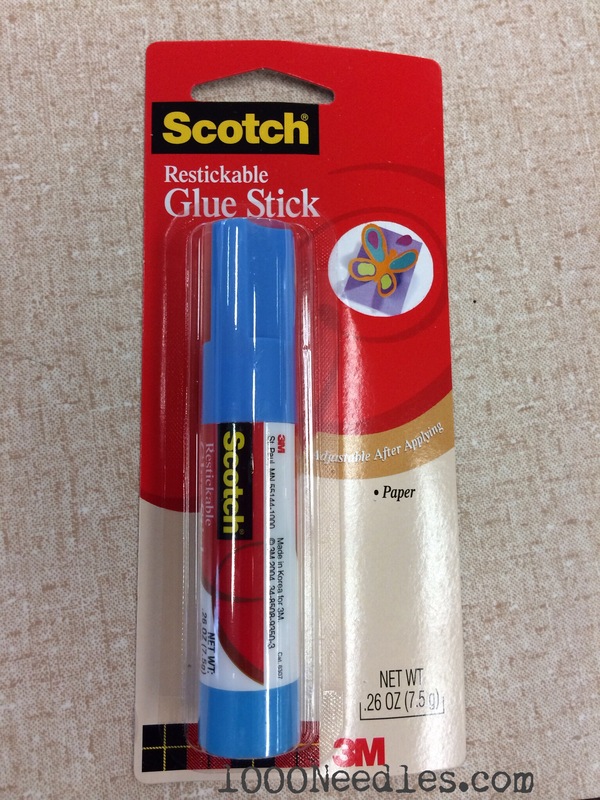 I couldn’t find this glue stick.. Of course, I only looked in one store but I didn’t want to be searching around for it so I bought a bunch (3) of these from Laurel. I would have bought more but I thought that if I don’t get to these as quickly as I wanted to the glue would go bad so three is enough. When I get to the last one and I need more, I can always order online if I can’t find them easily around. How come I never know what Press ‘n Seal is until I get to class? I do not know how many times this product has been mentioned to me and I not know what it is. I keep thinking it’s one of those fusible stuff that I used a long time ago when I fused fabric together. But it’s not. It’s in the saran wrap/foil aisle in the grocery store! The clean table before we started! 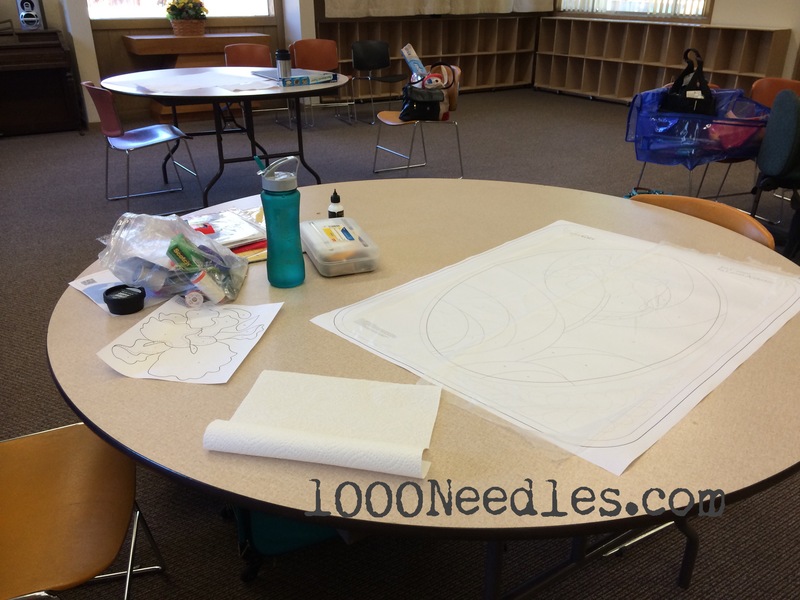 This process gets messy because of all the glue we use. And the size of that paper! It’s not as messy as foundation paper piecing but it takes up a lot of room because of the size of the project. 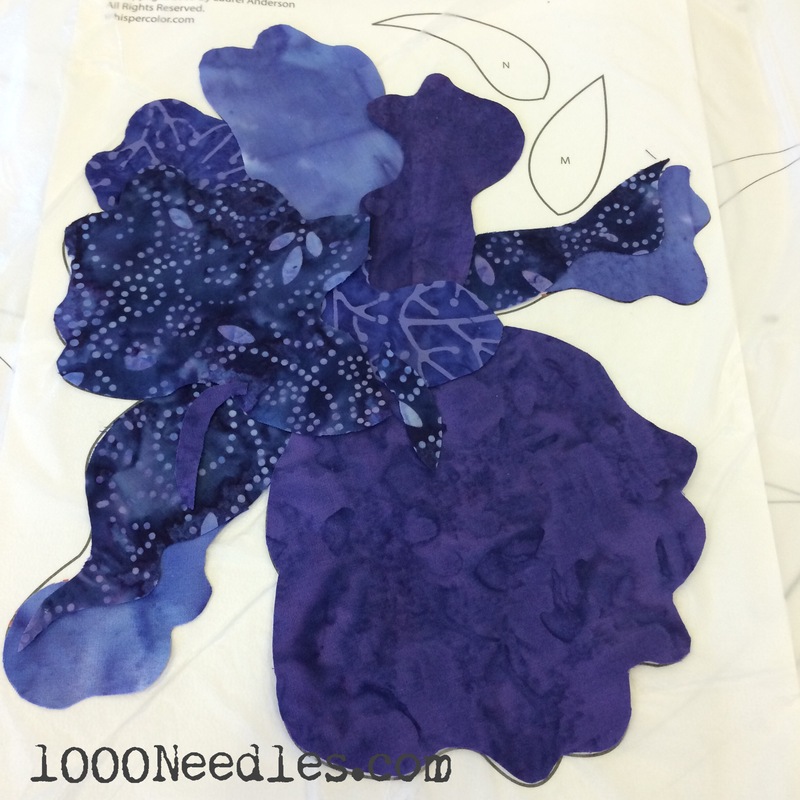 We cut all the paper pieces, we glue the pieces down with the restickable glue onto our chosen fabric, cut the fabric right on the line and then place it on the pattern where it goes. Repeat until all the pieces are done. Then for the turned edge method, we cut all the paper pieces, glued it with restickable glue onto our chose fabric. 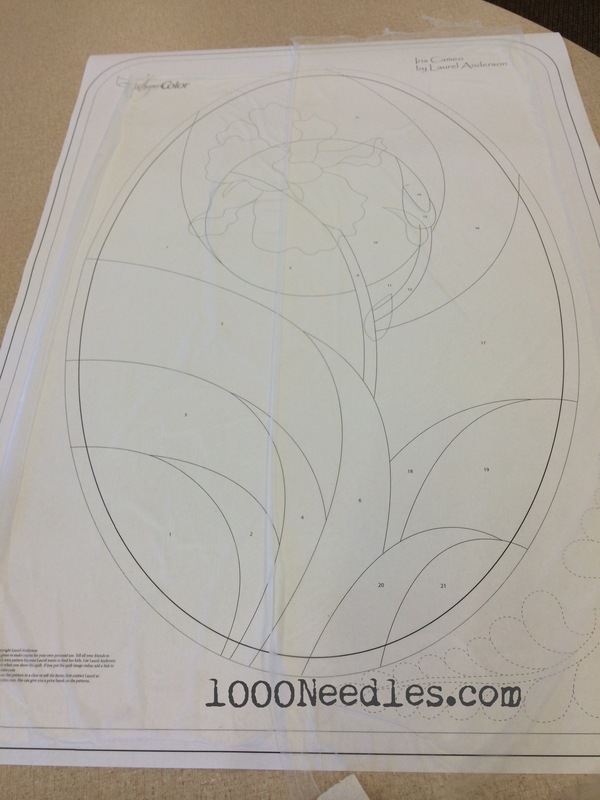 Instead of cutting the fabric right up on to the paper, this time we gave it a 1/4″ allowance between the paper and our cut line. Then we used regular washable school glue stick to turn the fabric over and glue the fabric onto fabric. It is so much easier than it sounds or looks. You do that until all the pieces are done. And wala – an almost finished project. I really love it! The next step is to finish sewing up the top part, batting, and back. Then I need to quilt this middle part together and then attach it all together. It sounds like there’s not much more to do and I can possibly finish it today. I hope so because once I put it away – who knows when it will come out again! ~ Happy Mothers Day – I’ve shut myself in my sewing space! Love, love, love your iris. It’s the TN state flower and was my mother’s favorite flower. Too funny – two coincidences. My favorite flower is the iris and I’ve also made Moon Glow. I made it years ago for my son’s 16th birthday. I had never paper pieced before but thought, “How hard can this be? 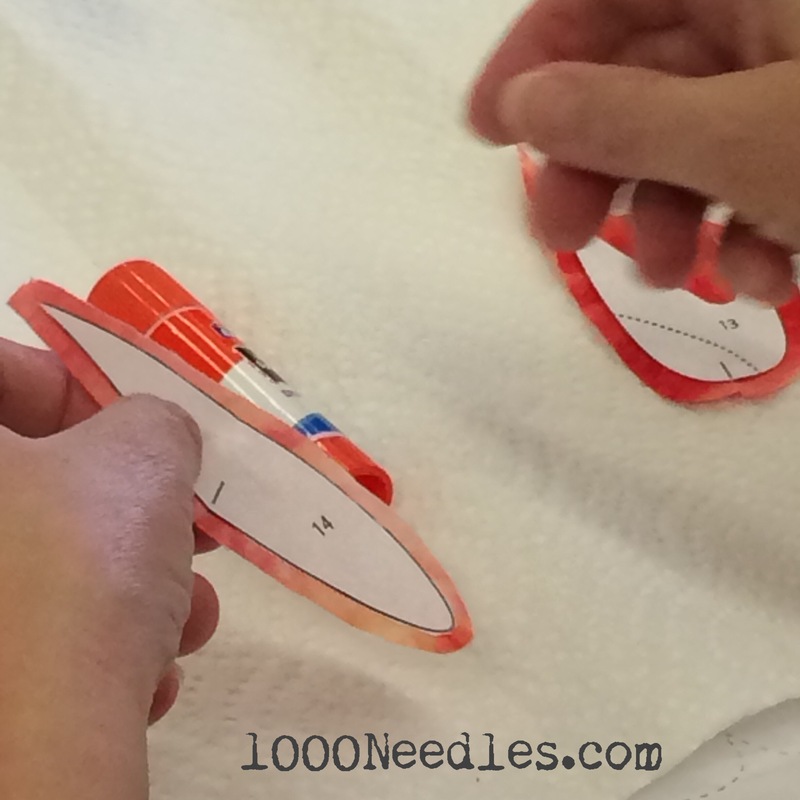 All you do is sew on the lines!” Boy, did I learn a lot with that pattern. Nice stash report for the year. 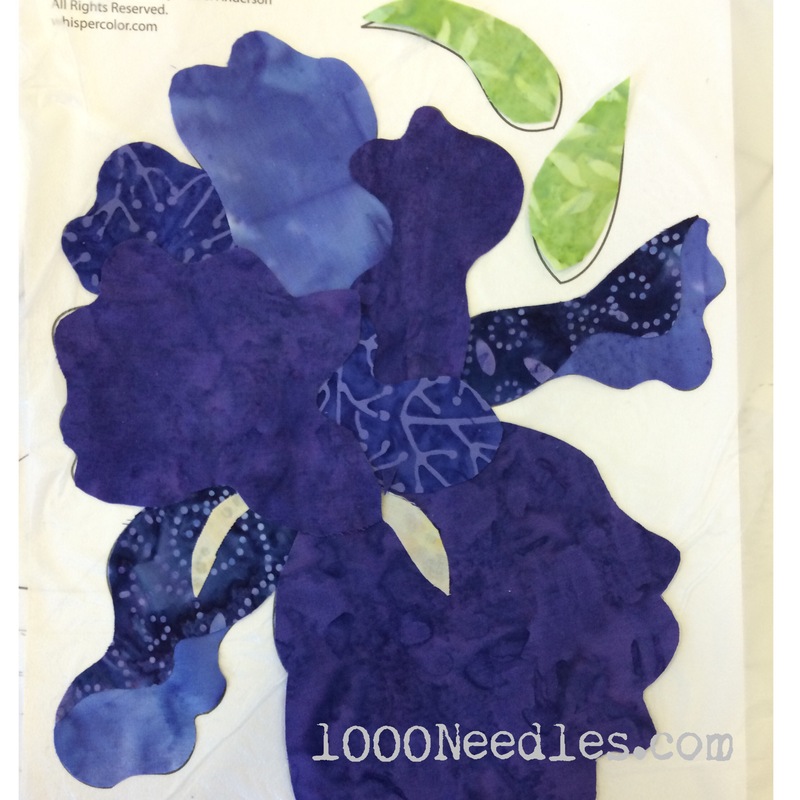 Your applique project is beautiful. 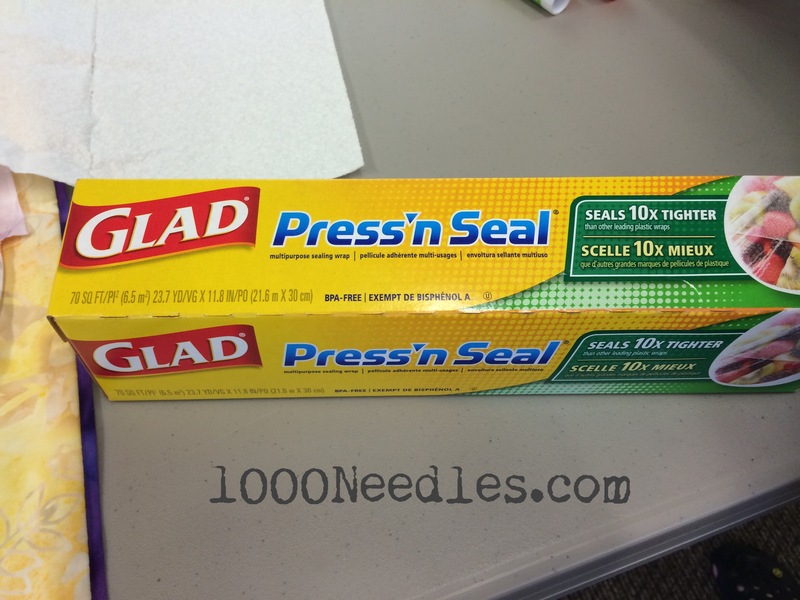 When do you use the Press and Seal? I’d like to see this method taught first hand. I’m a visual learner I guess. Beautiful fabrics in your iris. That was my mother’s favorite flower and I love the colors you chose.